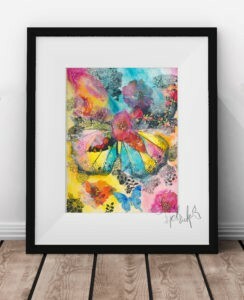 It’s no secret that I’m an art supply junkie and WATERCOLOR is my jam! And… I’m a bit of an technique junkie. I like to make messes and push art supplies to create new things. It’s kind of my therapy. Ha! Who can relate? I believe that taking time for yourself to create something with your hands is one of the most loving things you can do for your well-being. For me… it’s my NORTH. 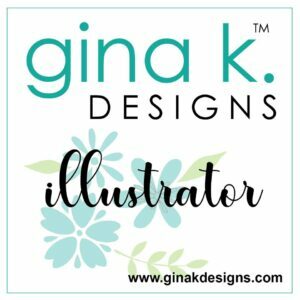 In this video, I’m sharing how I use Gina K Designs dye based inks to create watercolor effects for stamped images. 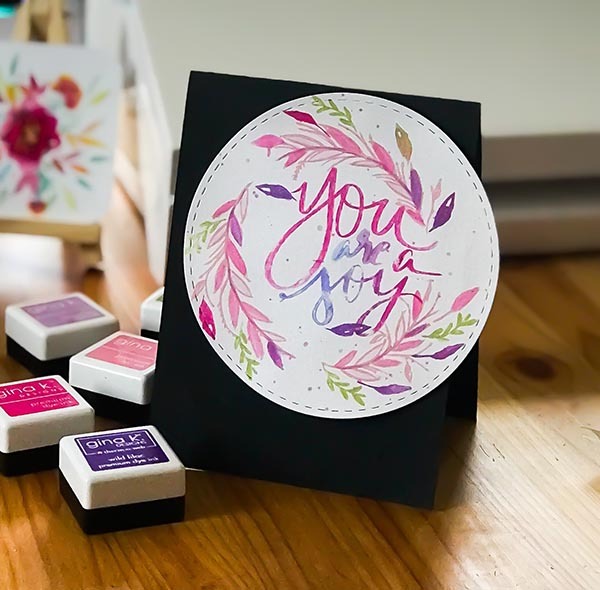 I’m also sharing my exclusive to Gina K Designs stamp set, “You Are” sentiment and wreath builder set based on my original watercolor art and handlettering. Trust Yourself! 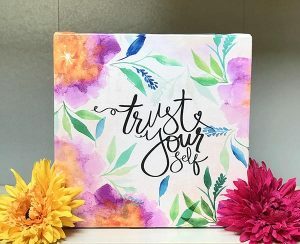 Adorn your space with this gentle reminder of trust and YES, you can do this!